10. To clean up/out your studio! 9. To demonstrate your process. 8. To hear the public’s reaction to your art – take it or leave it, but feedback is important! 7. To expand your reach. Are you tired of only friends and family buying your art? This is a chance to reach out and meet new customers and patrons. 6. To sell your artwork. 5. To market your artwork to not only locals but folks from all over the state and nation. 4. To gain exposure: ARTS Obispo is printing twice as many catalogs (total of 5,000!). 3. To share your passion with others! By seeing your work, visitors can appreciate your craft and reciprocate your passion. Be inspiring, be inspired! 2. To inspire a new generation: with an iPhone/Android app, a new generation will have access to the Tour and your art – it’s a chance to develop a new generation of art patrons! 1. To be part of the fabulous community of artists here in San Luis Obispo County. And, IT’S FUN!!! Apply now by following this link, printing the application and submitting it and your catalog image by April 24th! Visitors from Fresno look at the work of George Asdel. "Open Studios in San Luis Obispo County is our tradition. We can't wait to get the catalog to see who's participating this year!" Have you been thinking about participating in the 2012 Open Studios Art Tour? Are you curious as to what will be different, better, and overall more exciting this 14th year? Here it is: ARTS Obispo (Open Studios Art Tour is a program of ARTS Obispo/San Luis Obispo County Arts Council) has decided to print 5,000 catalogs this year! For the past two years, 2,500 catalogs have been printed, and before that 800 catalogs were sold to visitors. Since dropping the catalog fee ($25) in 2010, ARTS Obispo has watched 2,500 free catalogs fly out of distribution points fast! In 2011 5,000 catalogs were downloaded – we are hoping to see that number grow even more in 2012. But wait, there’s more! 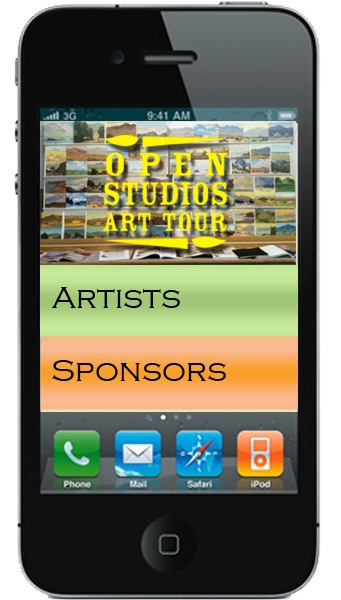 Visitors will be able to access the 2012 Open Studios Art Tour catalogs in a whole new way this year: by downloading a free iPhone/Android app! 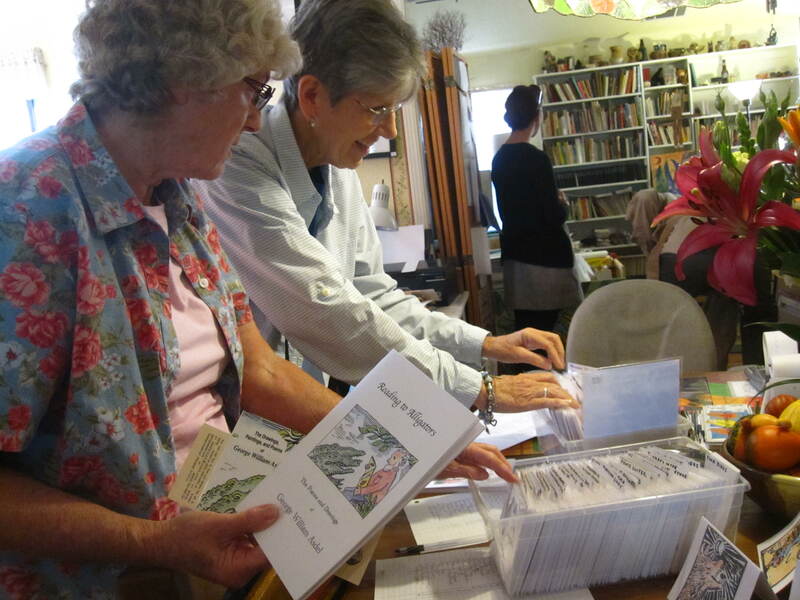 With 5,000 printed catalogs, an iPhone/Android app, and this OSAT Spotlight Blog platform for artists to share their craft with visitors prior to the tour – artists are guaranteed more exposure than ever during the 2012 Open Studios Art Tour!